I can’t remember a time when I really believed in God. Maybe as a small child when I still pictured him as a bearded old man in the clouds. Even then, however, God was a stranger to me. My parents never talked about Him, my father was a closet atheist, and I was the kid in Hebrew school who asked questions about the things I couldn’t wrap my head around—issues like the problem of theodicy, or how God’s omniscience conflicted with human free will. As an adolescent, the hypothesis of God seemed increasingly unnecessary and lacking in credible supporting evidence. 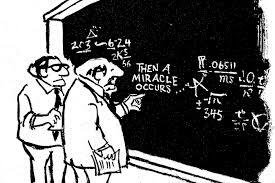 Scientists seemed to be doing just fine accounting for the universe without Him, and Occam’s razor rendered Him superfluous. Even if I could convince myself that He existed, what was He like and what exactly did He want from me? Which religion got Him right? Was he a God of love, or a God of hell-fire? Did He want me to avoid shellfish, stone adulterers, and put homosexuals to death? To offer burnt sacrifices? To love my neighbor? To wage jihad? To fight for justice and equality? To ban abortions? To prevent climate change? Was there one God, or many? Was He everywhere, or did He exist in some extra-spatial realm? How could one even begin answering these questions? One could depend on holy texts or religious authorities, but which ones? The Torah? The Koran? The Upanishads? The Book of Mormon? Why believe one over the other? One could rely on mystical experiences, but how could one tell if they were veridical or merely the result of brain chemistry gone awry? Science, at least, provided intelligible criteria for discerning truth. Science had discovered genetics, nuclear energy, black holes, chemotherapy, and computers. Science was transforming the world. Science was the place to go for answers. At the age of thirteen I gave up thoughts of becoming a rabbi and decided to become a scientist instead. But science has its own limitations. For one thing, science is unable to tell a coherent story of how consciousness fits into the material world. Scientists tend to believe in physicalism, the belief that the world is only made of one thing — physical stuff. Where does consciousness come from? Consciousness is said to be the product of the integral activity of the brain. And how does consciousness arise from the brain? We have to wait for that answer. Science has only been studying the brain for a relatively short time, and the brain is very, very complex. But don’t worry. Science will provide a full account of consciousness once it better understands the brain. When that happens, consciousness will be revealed to be—tada!—an “emergent” process. Emergence is the idea that as systems become more complex they display novel properties which couldn’t have been predicted from their simpler components. A typically given example is that oxygen and hydrogen atoms lack “wetness,” but when combined to form H2O, voilà! — wetness “emerges.” It’s always been unclear to me why this is considered to be a good metaphor for the emergence of consciousness. What does the fact that water, oxygen and hydrogen become liquid at different temperatures have to do with “emergence?” Wetness, on the other hand, as opposed to liquidity, is a phenomenological property, a quale, a conscious experience that derives from human-chemical interaction. It isn’t a property that inheres to H2O itself. I’m not sure what’s emergent about wetness, either. A better example of “emergence” involves insect colonies. Individual insects go about their business without any intention of serving a “higher purpose” in the colony or comprehending their role within it, nevertheless, the aggregate sum of their individual actions creates an emergent hive society, much as human free market economies emerge under the aegis of Adam Smith’s “invisible hand.” Similarly, simple electrical circuits, each of which are “dumb” in their own right, yield “smart” calculations when aggregated together in computers. Intelligent behavior arises from components which lack intelligence on their own. These are much better examples of “emergence,” but the premise that intelligence may be emergent is not the same thing as consciousness being emergent. Intelligence is an adaptive response to environmental circumstances, whereas consciousness is a felt experience. What the metaphor of emergence doesn’t do is offer any insight as to how non-conscious neurons, silicon chips, or any other non-conscious material, can produce the raw feel of consciousness. The experience of “redness” arises when humans interact with certain wavelengths of light, but there’s no raw feel of the quality of “redness” within the brain itself. When you look inside the brain, all you see are moving electrons and secreted neurotransmitters. Computers can calculate, but they aren’t conscious. Brains aren’t conscious either; we are. This explanatory gap between non-conscious brain processes and conscious human experience is what philosopher David Chalmers has anointed “the hard problem.” Now, there are some philosophers who don’t think this explanatory gap is as unbridgeable as I seem to think it is. They don’t see it as being “the hard problem.” Either there’s something they’re not getting that seems intuitively obvious to me, or there’s something I’m not grasping that seems obvious to them. Maybe the unbridgeable gap is not in the brain at all, but between us. In any case, I find “emergent” arguments for consciousness singularly unpersuasive. Emergence is a metaphor that gives the outward appearance of solving the problem of consciousness without really solving anything at all. But there are more problems with the physicalist model than just the “the hard problem.” First, the standard neurological model also treats thoughts as the mere effluvia of neurological happenings, and since “mental” events can never have an impact on “physical” events, thoughts can never play a causal role in the physical brain. All the causal work is done by physical processes, not by thoughts. Thoughts, then, are something extra, like legs on a snake; they serve no identifiable purpose. Second, the physicalist model is deterministic. Every brain event is determined by a prior chain of physical causes, so that the appearance of “making a choice” is illusory. Given a particular chain of circumstances, one can never behave any differently than one does. It’s meaningless, therefore, to assign credit for blame for behavior, or to ever employ the conditional tense. Third, science holds that while things happen due to causes, they don’t happen for a reason. There is no meaning inherent in things, no ultimate grounding for human values, morals, or aesthetics other than in human preferences. While what you do may matter to you, it doesn’t matter to the indifferent universe. Today many people in advanced societies accept this notion that the universe is devoid of inherent meaning and that meaning is a human invention. Since Jean Paul Sartre, it’s been a basic existentialist premise — although Sartre, unlike physicalists, believed in the reality of human freedom and choice. But the reader should be aware that the meaninglessness of the universe is a metaphysical proposition, and that there’s no empirical evidence either for or against it. Now, it’s all well and good to assert that consciousness is epiphenomenal and that choice is only apparent. These are defendable metaphysical propositions. Not provable, but defendable. The problem is, try living your life as if they’re really true. Try living your life as if you don’t have the power of choice, and that your thoughts have no causative power. Just try it. These propositions violate our deepest intuitions, and while it’s possible to verbally attest to them, it’s impossible to authentically live as if they were true. In addition, the scientific process itself requires scientists who are conscious and make decisions. Science presupposes consciousness and choice, then turns around and questions their existence. Can any determinist, epiphenomenalist philosophy truly be “adequate?” If the story the physicalist model tells us about the world isn’t adequate, what would be? In the past six months I’ve been reading writers who tell a very different story about the universe: Eihei Dogen, the thirteenth century Japanese Zen monk, Baruch Spinoza, the seventeenth century Dutch Jewish philosopher, and Alfred North Whitehead, the twentieth century British-born mathematician and philosopher. Each of these original thinkers challenges the standard physicalist account of reality in his own unique way. While there are profound differences between them, there are also threads of commonality. I intend to focus on those threads, but first I need to describe their individual metaphysics. 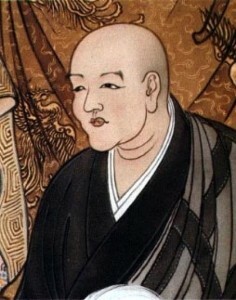 Eihei Dogen (1200-1253) was not what we in the West would call a “philosopher.” He was a Buddhist monastic devoted to the training of Zen monks, and his interests were matters of practical soteriology. He wasn’t interested in creating a metaphysics, and he interpreted the philosophy he drew upon from its Chinese T’ien T’ai and Hua-yen sources in his own unique way. He was a conjurer of words, and his metaphysics has to be wrestled from his difficult, enigmatic, and densely poetic prose. So what is Dogen’s metaphysics like? As I’ve described in a previous post, Dogen’s universe is one in which space and time is fully integrated, and where every point in space and every time is immediately and intimately connected with every other. It’s a chiliocosm — a multiverse of infinite Buddhas and infinite worlds, even within a single atom or blade of grass. It’s a universe that makes no distinction between animate and inanimate, where mountains “walk” and walls, fences, tiles, and pebbles endlessly teach the Dharma. It’s a universe where all things are in a constant process of change and derive their being from their interrelationship with everything else. It’s a universe where all things conspire to encourage us to wake up and recognize our true nature: our non-dual, compassionate relationship with all of reality. There’s no God in Dogen’s world, but there are an infinite number of Buddhas. His multiverse is co-extensive with Buddha Nature, all of reality the Buddha’s dharmakaya, or “truth body.” Dogen’s universe is an integrated, benevolent, purpose-laden home for human beings. Baruch Spinoza (1632-1677) lived in an entirely different culture than Eihei Dogen, and in an entirely different historical era with a different set of concerns. Spinoza was a Sephardic Jew who was born and lived in Protestant Amsterdam at the dawn of the modern scientific revolution. Although they neither met nor corresponded, Spinoza and Isaac Newton were contemporaries, and the nature of physical laws, cause-and-effect, and the relationship between mind and matter were topics of intense interest and debate. Spinoza wrote his Ethics, in part, as a reaction against Rene Descartes’ claim that the world was divided into two substances, matter which has extension in space, and thought which has none. Spinoza thought there was only one substance in the universe, and that the one substance had both material and mental properties, which he called “attributes.” In Spinoza’a system, everything has both a material and mental side to it. You can describe events in physicalist language (e.g., as events occurring in the brain), or in mentalist language (e.g., as thoughts and experiences) but you have to stay consistent within whatever language frame you start in. Physicality and mentality are two poles of the same process described in different languages. It’s “easy” to talk about the dual physical and mental properties of matter when we’re talking about the human brain, but what is the mental process of a rock like? We don’t know how it is to be a rock, but we can say that rocks, like living organisms, change in responsive ways to their environment. If we throw a rock, for example, its atoms and electromagnetic fields realign themselves to changes in gravitational force as the rock rotates through space, and its potential and kinetic energy undergo momentary changes throughout its arc of flight. There’s a lot going on. The rock isn’t inert. It responds in some genuine way to the world. It’s possible that these physical changes in relationship to changing external circumstances are in some way meaningfully analagous to whatever physical changes are occurring in our brains when we “have” experiences. Or maybe not. When we speculate that electrons, atoms, molecules, inanimate objects, and one-celled organisms have “experiences,” a question arises about whether we’re stretching the meaning of the word “experience” beyond recognition. Spinoza’s universe was a true “uni”-verse. His “one substance” was identical to what he called Deus sive Natura, or “God or Nature.” Spinoza’s “God or Nature” was very different from the Abrahamic God. Spinoza’s “God or Nature” manifests everything imaginable out of His/Its infinite potential, the appearance of the many out of the one. “God or Nature” is infinitely creative. Everything that exists is perfect, since “God or Nature” is perfect, and He/It has no choice but to cause everything to be exactly as it is. Everything that is follows the laws of nature by inexorable cause and effect. God is as bound by the laws of causality as humans; neither have free will. Spinoza’s “God or Nature” is not a supernatural Being. The natural universe in Spinoza’s system, depending on how you interpret his writings, is either coextensive with “God or Nature,” or resides within “God or Nature,” but “God or Nature” is immanent in the world, not transcendent to it. God is the logos, the underlying order of the universe, the generative force behind it. We are natural expressions of God’s infinite, endless creativity. 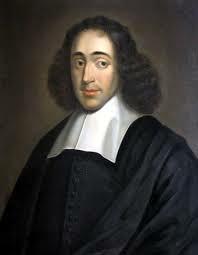 The reason why it’s uncertain whether Spinoza’s “God or Nature” is fully coextensive with the universe is because Spinoza defines “God or Nature” as having an infinite number of attributes, whereas Spinoza’s universe has only two: extension and thought. This leaves Spinoza’s system open to the possibility (although he does not say so) that our universe is one of an infinite number of possible universes, some of which might have more or different attributes, however unimaginable they might be. Spinoza’s universe, like Dogen’s chiliocosm, is friendly to speculative physics about the universe’s being a multiverse. Spinoza’s “God or Nature” is not a God of love, however, and the universe wasn’t created with us in mind. God is indifferent to us, caring neither more nor less for us than for viruses or tornados. The universe wasn’t created for humankind’s benefit, but out of God’s infinite imagination. Nevertheless, Spinoza says that the person who is wise will love God and seek to gain adequate ideas about Him/It. Adequate ideas give us the power to overcome our passions, thereby increasing our ability to maintain and enhance our being. According to Spinoza, increasing one’s power to maintain and enhance one’s own existence is the prime directive of all being. Ethics flows from it as a consequence, since maintaining and enhancing our existence depends largely on optimizing our relationships with other people. 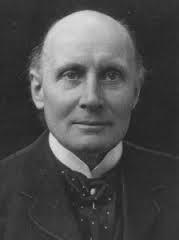 Writing early in the 20th Century, at the dawn of the age of relativity and quantum mechanics, Alfred North Whitehead (1861-1947) wanted to create a metaphysics that was compatible, not only with newly emergent scientific facts, but with the things human beings are most certain of: that we have conscious experiences, that these conscious experiences have causal efficacy, and that we make meaningful decisions in the world. Whitehead wanted a metaphysics that found a place for consciousness and choice within the very heart of reality. Whitehead’s philosophy shares certain features with Spinoza’s. Like Spinoza, he believed that mentality inheres in matter, and in the necessity of a God whose creative force is immanent in the world. But there their similarities end. Spinoza’s world is a deterministic one running entirely on a chain of causation, whereas decision and choice are real for Whitehead. Whitehead’s philosophy is often called “process-relational” because it holds that the world isn’t made of substances, but of processes and relationships. Everything interacts with everything else in a constant process of transformation, only the “things” that are interacting aren’t really “things” at all. “Things” are abstractions from temporal slices of ongoing process. The “thing” we happen to designate a “flower,” for example, is an abstraction from a process occurring over time: seed becoming seedling, seedling becoming flower, flower becoming compost, compost becoming soil, ad infinitum. This beginning-less, endless process occurs within a web of mutually unfolding relationships with other processes, solar, meteorological, geological, ecological, and atmospheric. The flower’s existence is unfolding process and relationship. The same is true of everything without exception, from the smallest elementary particle to God Himself. Whitehead was also a pan-experientialist. Not only does process and relationship go all the way down and all the way up, but every event within a process is also a “drop of experience.” Even elementary particles have experiences of some kind, whatever they might be. The future, in Whitehead’s view, does not yet exist. Unlike deterministic philosophies that decree the future a forgone conclusion given the constellation of causes set in motion at the moment of original creation, Whitehead’s future remains unwritten. Processes draw on their past experiences and their experience of current influences, but use them to creatively generate the next moment. Complex processes have more choices in generating the future than simple processes. Humans, for example, have considerable choice; elementary particles, only a little. The reason why the Heisenberg Uncertainty Principle accurately characterizes the quantum world, according to Whitehead, is that elementary particles, in some meaningful sense, “choose” their location within their probability matrices. In Whitehead’s language, all processes “prehend” their past and the ways the world impinges on them to create the future out of the array of relevant options. We, and everything else, are forever at that moment of creation when past manifests as present. Whitehead saw the necessity of including God in his metaphysical system. Like Spinoza’s God or Nature, Whitehead’s God is neither supernatural nor anthropomorphic. For Whitehead, God is that which transforms creativity and infinite potential into something concrete and definite, giving value and organization to an otherwise inchoate set of indeterminate possibilities. He is a kind of anti-entropic force encouraging greater complexity, interrelationship, and creativity. He is a patient persuader, guiding us towards love and mutuality. Whitehead calls him “the poet of the world, with tender patience leading it by his vision of truth, beauty, and goodness.” He co-experiences the experiences of all processes, past and present, “the great companion; the fellow-sufferer who understands.” He provides the universe with an Aristotelian telos, a general direction for the course of its unfolding evolution, as He gently nudges it in the direction of greater freedom, complexity, creativity, and mutuality. While Whitehead’s evolving universe bears some resemblance to the Jesuit theologian Teilhard de Chardin’s (1881-1955) evolving universe, de Chardin’s universe evolves toward a final, fixed end, whereas Whitehead’s universe evolves as an undetermined, open-ended process. Although Whitehead’s God co-experiences all the experiences of all processes past and present, he isn’t omniscient. He doesn’t know the future, which remains uncreated possibility. Since He dwells in time, His co-experience of all experiences past and present changes how He meets the future. In a universe that’s process-relational all the way up and all the way down, God changes us, and we change Him. God and the universe co-evolve together. I’m intrigued by descriptions of reality that find mental activity woven into the essential fabric of being and becoming. That’s not to say that Spinoza’s and Whitehead’s “panpsychist” or “pan-experientialist” views aren’t problematic. The strengths and weaknesses of these views are a matter of active debate by contemporary philosophers like Galen Strawson, David Chalmers, and their critics. Panpsychism’s first problem is the fundamental unknowability of what the experience of elementary particles, nonorganic processes, plants, and simple animals such as protozoa are like. Second, there are explanatory gaps in how one gets from the proto-experience of elementary particles to the consciousness of human beings, or how human beings develop a unified consciousness when all of their cells and elementary particles are busy having their own experiences. Despite these significant problems, there seems to be something intuitively appealing about rooting consciousness deeply into the warp and weft of the world. In a way, there shouldn’t be any mystery to consciousness. It’s what we know best about the world; we understand embodied consciousness from a more intimate perspective than we understand anything else. We know what’s it like to be conscious; it’s matter that’s opaque and mysterious. As a lengthy aside, it’s unclear how Dogen would weigh in on this controversy. Buddhism’s metaphysical stance on the ontological status of mind and matter is both complex and confusing, tending to muddy the waters rather than resolve problems. While the particular rabbit hole Buddhism goes down is slightly different from Descartes’, it’s a rabbit hole nonetheless. Buddhism views consciousness and physical form, under “usual” circumstances, as two tightly interacting, mutually affecting streams of momentarily arising processes. There are times and instances, however, when these mental and material processes separate out, e.g., during the formless jhana meditative states, in the “formless realm” where subtle mental beings reside, in the “astral” travels of the “subtle body,” during the bardo states and process of rebirth, and through the mind’s ability to manifest simulacra of the body (manomayakaya) in space. Dogen inherited this tradition and did little to question or clarify it. While Dogen makes frequent use of the Japanese word shinjin (“body-mind”) which implies a body-mind unity, it’s unclear what the deep ontological underpinnings of that apparent unity are. The best one can say is that Western ontological categories are completely irrelevant to Dogen’s soteriological project. I’m strongly drawn to process-relational descriptions of reality that clarify our mutual interdependence with all things. The crises of our era are essentially crises of failures in relatedness, whether with our biosphere or with our neighbors as we tribally-oriented humans— in other words, all of us—are necessarily confronted with the difficulties of living cheek-to-jowl with strangers-turned-neighbors in the global village. Beyond that, process-relational thinking helps us to understand identity and personhood in ways that accord with fundamental Buddhist insights into the nature of selfhood. Whitehead’s process-relational thinking precisely mirrors Dogen’s metaphysics of impermanence and radical inter-relationship. In Mahayana Buddhism, all dharmas (phenomena) are not only anitya (impermanent) but also śunya (empty), meaning lacking in “inherent self-existence” and deriving their momentary being from an evolving flux of inter-relationships. This is what Mahayana Buddhists call “dependent origination.” This natural affinity between Whitehead’s philosophy and Sino-Japanese thought is one reason why there is a growing interest in Whitehead’s philosophy in contemporary China. I’m charmed by descriptions of reality that have moral and aesthetic values baked in from the get-go, and that argue for a universe that’s not morally or aesthetically neutral, but naturally inclined in the direction of goodness and beauty. Whitehead believes God moves the universe towards greater beauty, while Dogen believes the fabric of reality encourages us to realize our Buddha nature and awaken together with all things. The idea that in maximizing the good, the true, and the beautiful we’re living more in accord with reality, helping things to flow in their intended direction, makes for a wonderful story. Much nicer than the story that it’s a dog-eat-dog world and that we’re either sharks or sardines. Much nicer, also, than the story that nothing matters, so we can do whatever pleases us. I’m not sure I buy these nicer stories; there are plenty of reasons not to. But I find myself increasingly willing to at least consider them. “After men persuaded themselves, that everything which is created is created for their sake, they were bound to consider as the chief quality in everything that which is most useful to themselves, and to account those things the best of all which have the most beneficial effect on mankind. Further, they were bound to form abstract notions for the explanation of the nature of things, such as goodness, badness, order, confusion, warmth, cold, beauty, deformity, and so on; and from the belief that they are free agents arose the further notions of praise and blame, sin and merit. Which brings us back to the start of this post — my inability to believe in God. I could never believe in a supernatural, anthropomorphic God, an omniscient autocrat standing outside of creation, judging it, and miraculously intervening in accordance with our prayers and petitions—in other worlds, the kind of God that Whitehead describes as having the attributes of “a Caesar.” “God talk” doesn’t interest me or turn me on. As I’ve mentioned in another post, when I hear “God” mentioned in a Dharma talk, my mind wanders off. But how different — really — are Spinoza’s and Whitehead’s naturalistic, creative, immanent Gods from Dogen’s understanding of the dharmakaya? How different is Whitehead’s God who experiences the experiences of the world and nudges us towards love and beauty from Dogen’s compassionate Avalokitesvara who hears the cries of the world and awakens us to wisdom beyond wisdom? Even if one dispenses with Gods and Buddhas, if mentality, morality and aesthetics can be features of reality right down to the bone, why can’t reality also include some non-supernatural “spiritual” dimension as well? Some beneficial principle that encourages us and the world towards greater love and compassion, beauty and understanding, and our own best selves? I’m not convinced, like Whitehead and Spinoza, that God is either necessary or tenable, but I’m more open to consider it than I once was. That’s why I’m an agnostic rather than an atheist; it’s what keeps me from joining the secularist camp. Of course, metaphysical speculations like these lie well beyond the realm of proof or falsifiability. They’re not scientific questions. That’s why they’ve fallen out of favor in contemporary philosophy. But to say they’re unprovable is different from saying they’re meaningless or useless. They’re stories, narrative devices, that help us to organize our behavior and orient us towards the future. They have their own realms of utility. For a moment, let’s look at this from the Jamesian pragmatic perspective: Which description, if tentatively adopted as-if-true, would most likely enhance human flourishing? Where does a deterministic, physicalist, purposeless universe take us, and where does a pan-experiential, process-relational, value-laden world take us? I invite you to take some time and try to imagine the moral and social consequences of each. It’s possible that a physicalist framework might be more useful for the purposes of certain scientific investigations, but that a pan-experiential, process-relational, value-laden perspective might be more useful for rearing children and good citizens, organizing social, political and economic relations, preserving the planet, and cultivating the beautiful and the good. And it just might be — it’s possible— that there are even certain scientific questions — ones related to ecology or quantum events, for example — where a process-relational perspective might prove more fruitful. 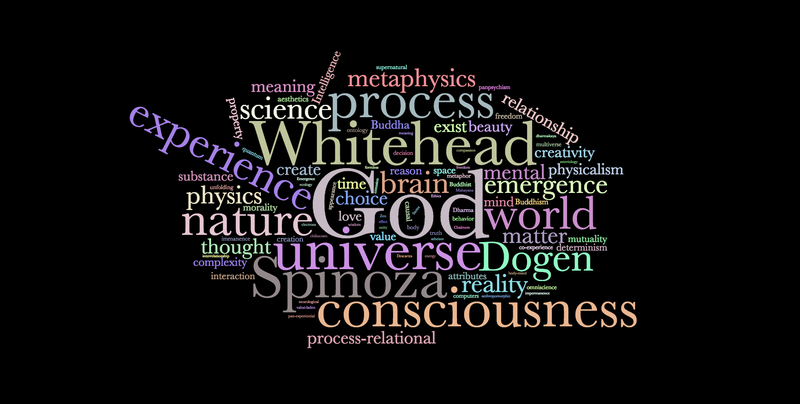 Many thanks to cosmologist, cousin, and Whitehead scholar Matthew David Segall who kindly reviewed an earlier draft of the Whitehead segment of this post and helped me avoid some errors. Any new errors in interpreting Whitehead that crept into this essay during the revision process are solely my own. Thanks also to Bob Brantl who commented on an earlier draft and helped this to become a better essay than it otherwise would have been — although I suspect he will still not be happy with what he considers to be my caricature of theism in the opening paragraphs. Thanks also to Susan Mirialakis for her many helpful suggestions to improve the readability and flow of this dense essay.